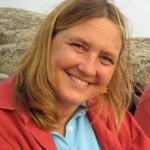 Sara Pierce graduated from Simmons College in Boston in 1983 with a degree in Physical Therapy. Her orientation towards a more holistic approach has influenced her further training and career. With that in mind, she studied consciousness studies for 12 years; attended the Acadia School of Massage in Bar Harbor, Maine (2010) and received a Masters in Integrative Health and Healing from the Graduate Institute in Bethany,CT in 2014. Sara also has certifications in Transformative Meditation and Holistic Stress Management Instructor. Sara currently offers services in Mount Desert, Maine; Naples, Florida; and Key Colony Beach, Florida. Classes, intensives and workshops are created wherever requested as possible. In the past these have occurred in Hawaii, Massachusetts, Florida, England, Connecticut and California. She also offers Skype and phone coaching services. As I explore and discover this healing practice I offer what I have learned along the way. In this way I am a guide towards your healing. Patiently and compassionately we have the opportunity to “become more of who we truly are”. How we get to these pieces is as individual as each one of us is. I welcome the idea that all healing paths are useful and not. It’s my experience that each path has offered me a window into “partial truths”. I deeply believe in the idealistic view of many paths, one destination. I’m not interested in rejecting concepts but adopting curiosity. Nor am I interested in choosing one method and rejecting all others. At a certain place all healing paths intersect, and that is my area of focus. It is my aspiration to guide self-discovery along each individual’s healing path in relationship to their body and consciousness with themselves and others. My work is constantly evolving from learning differences in education and life; to the study of movement; to the inner experience of physical structure; to the development of children and the development of family; to the integration of physical, emotional, energetic and mental self; to the exploration of Nature and humanness; to the study and experience of the spiritual realities of love, compassion, forgiveness, All and wholeness; to the exploration of flow in many forms and dimensions; to the gifts of recovery and remembrance; to adult and adult relationship; to creating life in honor of destiny; to exploring stillness and insight of the mind. All of these “parts” or “partial truths” along a healing path are singular and universal in nature. Respectful support of one another. We find peacefulness within ourselves. All this requires daily conscious awareness of ourselves. My mission is for each of us to live our purpose. The possibility of that is much greater in peace. Services include Presence in Healing bodywork and classes; myofascial release, craniosacral therapy; massage therapy; holistic healing coaching, Alo in Agua (waterwork), meditation instructor, Yin Yoga teacher. Cofounder and developer of this 501c3 nonprofit, an alliance of parents, professionals and individuals passionately committed to providing creative opportunities for learning, growing, and healing. Provider of physical therapy, presence in healing and consultations. Founder and Instructor of Presence in Healing Apprentice program supported by Children, Families and Communities. Developer of Self Discovery in Recovery, an experiential process for those in recovery from a variety of addictions. Founder of the Prayer Flag Project, an awareness and fund raising opportunity for peace for children. Being With Children As We Are by Sara Pierce and Karen Sjostrom Hedger — Being with Children As We Are provides a framework for adults to learn to thoughtfully observe children’s behavior and capabilities with a mindful, curious and nonjudgmental viewpoint. Parents and caregivers can create “a balance of control and support that changes in the moment” for their children, from the perspective of self-awareness and presence. Readers may find themselves expanding and growing along with their children. A heart-full guidebook to conscious and creative parenting. Self Employed Physical Therapist primarily serving children birth to 5 with contracts in outpatient settings including home visiting, educational settings and special needs programs. Co-teacher and Co-developer of “Creating a Developmentally Appropriate Program to Respond to Individual Needs within an Early Childhood Program”, a 40 hour course. First Start classroom coordinator and presenter. Get in touch! I love hearing from other people on the path of healing and integrative medicine. The form below will send me an email–if you’re more of a phone person, you can also call me at (207) 266-9162. Hope to hear from you soon.